Every morning you wake up feeling tired. Sometimes more tired than you were when you went to bed the night before. You drag through your day, exhausted and unfocused. You might feel irritable and cranky, seemingly for no good reason. You can’t seem to focus on your work, and you forget important things like appointments and deadlines. The reason for this is obvious. You’re sleep deprived. Your partner snores, so you have trouble getting to sleep at night. When you do manage to fall sleep, chances are good that your partner’s snoring will wake you up a few hours later. And, once you’re awake, the same snoring keeps you from falling back to sleep. You’ve tried sleeping in another room to get the rest you need. But the snoring might be so loud that even that doesn’t help. Yes, living in a house with someone who snores can keep you up at night. But, luckily, there are ways to get around this problem. 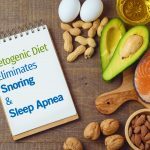 You can either try to block out the sound of the snoring, drown it out with a more soothing sound, or decrease the volume of the snoring so it doesn’t interfere with your ability to sleep. If you’re looking for a way to get a good night’s sleep, even if your partner snores, the devices below might be just what you need. The Better Sleep Moldable and reusable earplugs are our number one pick for various reasons. You can mold the silicone earplugs for a flush fit to your specific ear canal. That means, there are no long ends sticking out and makes it very comfortable even for side sleepers. You get 4 pairs and they are reusable. Clean them regularly with warm soapy water and you’ll be able to use them for a long time. The moldable ear plugs for sleeping are also great for swimming and showering. Keeping you and your kids’s ears protected. You can use as much or as little product as you want to fit your specific ear canal. We personally tested these out and while they are still new on the market without many reviews, we believe these earplugs will become very popular soon. Comes with a 30 day no questions asked refund guarantee. If you’re not happy with the product, simply return it for a full refund. Next up we have the Better Sleep brand again. Their Foam earplugs were created especially for sleep and come with the Highest DB rating available. That means that you won’t find earplugs that can block out more sound than these. They are also very comfortable to wear and come in a bottle with 50 pairs and a cool aluminum carry case to use for when you’re on the go. They sell them in regular size for people with normal to larger ear canals and also Slim Fit size for people with smaller ear canals. The product is also new on the market and we personally tested it with great results. The plugs also come with a 30 day no questions asked refund guarantee so there is no risk to you for trying them out. 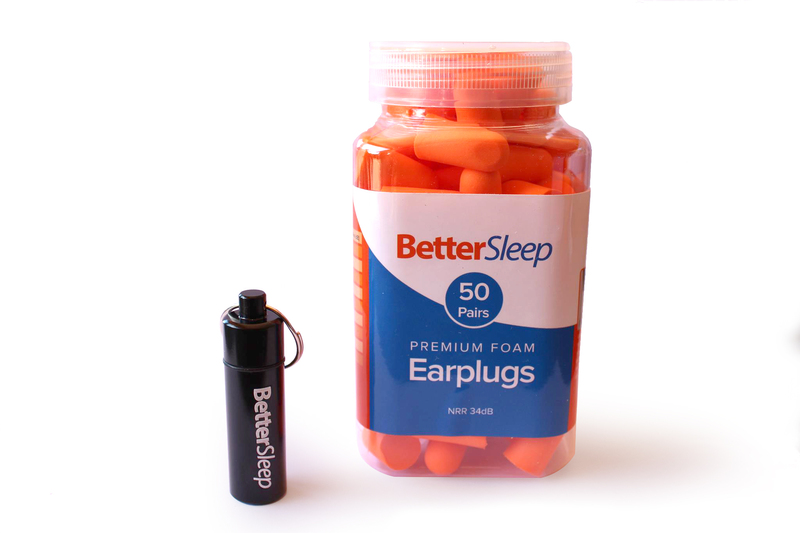 Technically, SleepPhones aren’t ear plugs, but they serve the same purpose. With them, not only can you drown out the sound of your partner’s snoring, you can let your favorite, most relaxing music serenade you to sleep. SleepPhones are fully-padded headphones specially designed to be used while you’re asleep. You can sleep in them comfortably, even if you prefer to sleep on your side, which can’t be said about other, bulkier headphones. 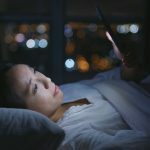 In fact, SleepPhones are comfortable enough to wear all night, from the time you go to bed until you get up in the morning. 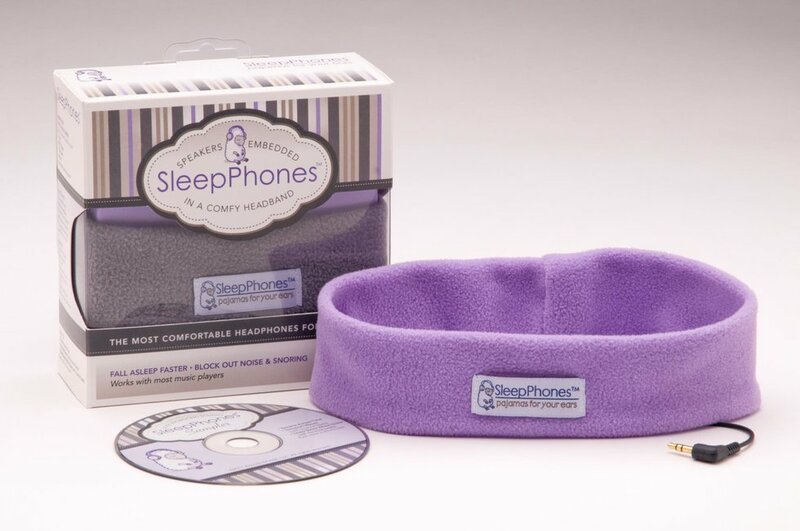 SleepPhones are a headband that contains thin, removable speakers. You just slip the headband on and pull the sides down to cover your ears. And if you need a sleeping mask, you can pull the SleepPhone headband down from your forehead to cover your eyes. With SleepPhones, you can fall asleep listening to your favorite music, white noise, a podcast or an audio book. Just use a 3.5mm headphone jack to plug your SleepPhones into any audio device, like your IPod, MP3 player, CD player, radio, or white noise machine. To drown out snoring throughout the night, set your audio player to repeat and turn on sounds meant to block out noise, like white noise, ambient music, ocean waves, or other nature sounds. SleepPhones are lightweight and hypoallergenic, so you don’t have to worry about skin irritation. And the headband, which is made of recycled material, is machine-washable. To clean, just take out the thin, removable speakers and toss the headband into the washing machine. On the company’s website it says “SleepPhones are the world’s most comfortable headphones for sleeping.” And this ties into how they came to be. AcousticSheep was founded by Dr. Wei-Shin Lai, and her husband Jason Wolfe, in 2007. Dr. Lai is a family physician, and she created SleepPhones because she had a problem. When phone calls from patients would wake her up in the middle of the night, she’d have a hard time getting back to sleep. She thought listening to relaxing music would help. But when she tried to lie down while wearing headphones, they were too bulky and uncomfortable. Ear buds were also uncomfortable and, sometimes, painful. Dr. Lai couldn’t find any headphones specifically made to be slept in. So she decided to create them. And her creation worked so well for her that she started recommending it to her patients. Dr. Lai and her husband made the first 500 SleepPhones at their kitchen table. They were so successful they patented the SleepPhones and started their business. And they sold out of SleepPhones in the first year. Since then, SleepPhones have helped patients who’ve had trouble sleeping fall asleep faster. They’ve also helped people whose partners snore sleep peacefully at night. SleepPhones come with a satisfaction guarantee, and a one year, full manufacturer’s guarantee. So you can try them without risk. But consider over 9 out of 10 customers say they’d recommend SleepPhones to a friend, chances are good you’d be satisfied with these specially designed headphones. 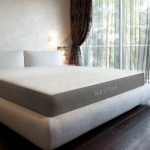 One user whose wife snores said he’s been struggling to find something, anything, that would help him to get a good night’s sleep. Thanks to the SleepPhones, he’s finally been able to sleep through the night, without being woken up by his wife’s snoring. See the SleepPhones from AcousticSleep. 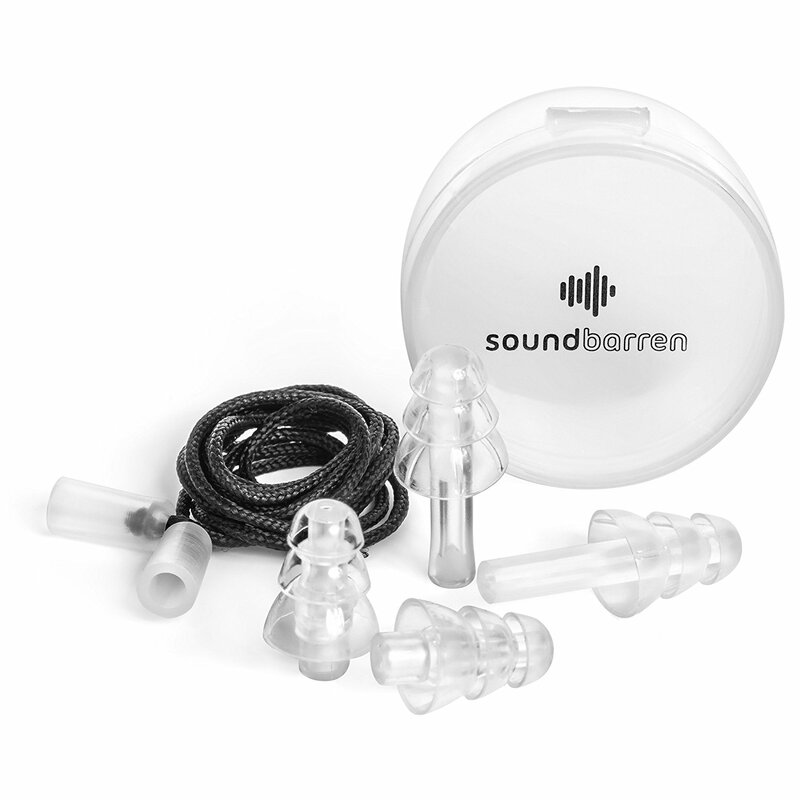 SoundBarren Sleepers are reusable, noise reducing earplugs that have been scientifically engineered to block out the unwanted sounds that can interrupt and disrupt your sleep at night. These noises include anything from car horns and construction sounds, to loud neighbors and, of course, snoring. Earplugs typically muffle and block sounds. So not only do they keep out the sounds you don’t want to hear, they can also block out the things you do want to hear. But, with the SoundBarren Sleepers, you can still hear certain sounds, like music or voices, clearly. The sounds are just softer and less disruptive. So, for example, you’ll still be able to hear your alarm clock go off in the morning. The StayPut Comfort Design of the SoundBarren Sleepers means they’ll fit comfortably inside your ear. And they’ll stay in place while you sleep, even if you toss and turn at night. 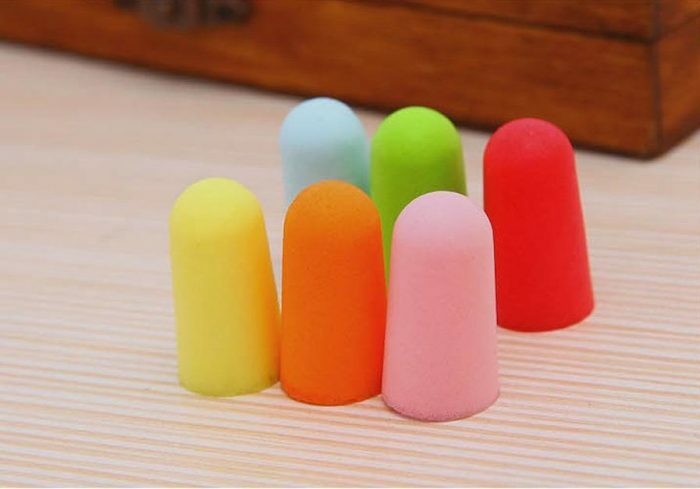 These earplugs are made of hypoallergenic, non-toxic silicone, so you don’t have to worry about the pain or itchiness some earplugs can cause. And, finally, the SoundBarren Sleepers are backed by a no-hassle, 100% satisfaction guarantee. If you don’t like them, you get your money back. Simple as that. 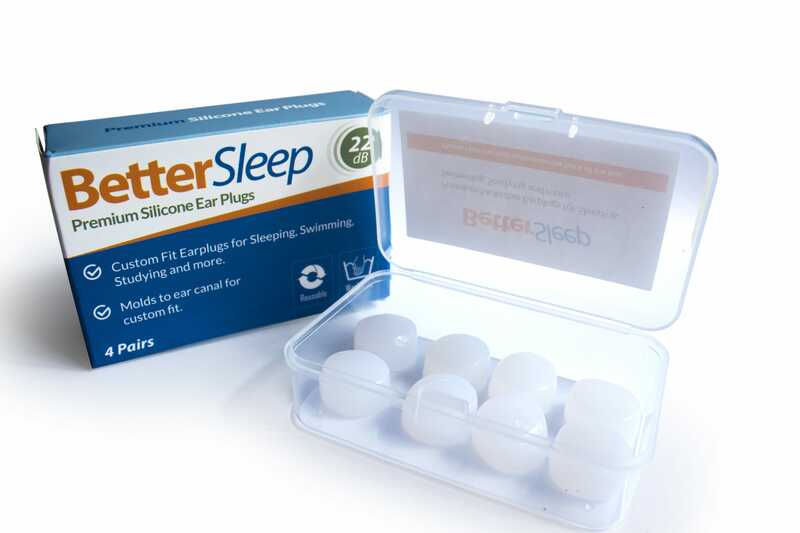 Many people have successfully used the SoundBarren Sleepers Noise Reducing Ear Plugs to block out snoring. Buyers also praise them for being as comfortable as they are effective. And as one user commented, while these earplugs blocked out snoring sounds, she was still able to hear her alarm. Made of natural soft silicone, the Hearheed Reusable Hearing Protection Earplugs aren’t just reusable, they’re washable too. They’re also hypoallergenic and non-toxic, so you don’t have to worry about the earplugs making your ears itch. And the size allows them to fit easily and comfortably inside your ears. These noise cancelling earplugs have an average attenuation value of 26dB, so they can easily reduce the sound of your partner snoring. And they can reduce other disruptive noises too, like car alarms, construction noises, and airplanes. If you’re skeptical about how effective the Hearheed Hearing Protection Earplugs are, you can try them risk-free thanks to the one-year satisfaction guarantee. These Hearheed earplugs are designed so that you can still hear sounds clearly. While other earplugs can make sounds muted or “fuzzy,” these earplugs reduce sounds so they aren’t as loud, or potentially harmful to your ears. So you can go to a concert and still fully enjoy the music without it being painful, and potentially damaging. 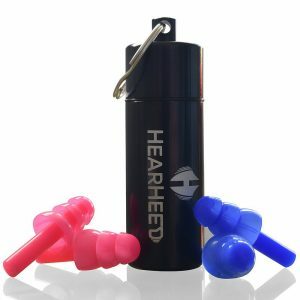 In other words, these Hearheed earplugs will reduce the sound of snoring enough for you to get a good night’s sleep, but you’ll still be able to hear your child calling for you in the middle of the night. 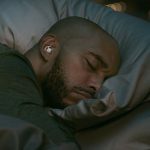 Users were impressed both by how effectively the Hearheed earplugs blocked out snoring, and by how comfortable they are to wear. According to one user, she’s tried countless other earplugs. But these were the only ones that really blocked out the sounds of snoring enough for her to get a good night’s sleep. Have a look at them on Amazon. 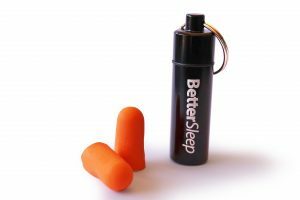 Drift to Sleep Ear Plugs have an NRR of 33, and are made to block out unwanted sounds like construction, traffic noise, loud neighbors, and snoring. These earplugs are made of extra-soft, lightweight foam, so they fit comfortably inside your ear, and you can wear them all day long without pain or discomfort. Thanks to their size and design, they can be used even by those with very ear canals. These earplugs are also non-irritating, so you don’t have to worry about them making your ears itch. And there’s a 100% money-back guarantee. If you aren’t satisfied for whatever reason, you can return the Drift to Sleep Ear Plugs for a full refund. 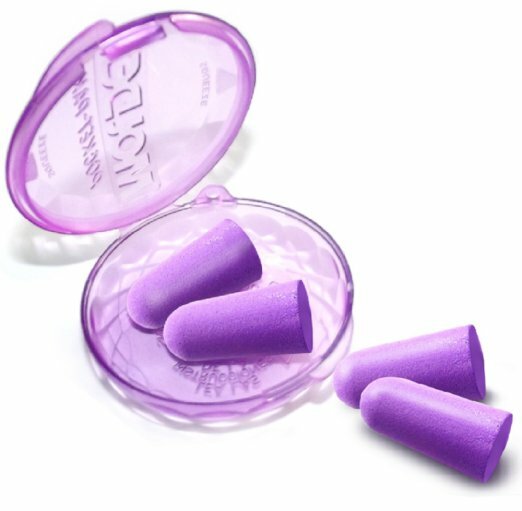 Many buyers rave about how good these earplugs are at blocking out snoring and other unwanted sounds. One user said that when she puts on these earplugs, she feels like she’s stepped into a wonderfully dark and quiet room. According to another user whose husband snores, she’d been sleeping on the sofa for a year so that she could get a good night’s sleep. But even though she was in another room, the snoring was still loud enough to keep her awake. But, thanks to the Drift to Sleep Ear Plugs, she’s been able to return to her bed. Living with someone who snores doesn’t have to mean enduring countless sleepless nights. 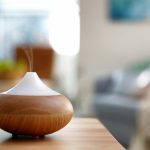 These devices can block, decrease or drown out the sounds of snoring, and help you get the rest you need. In fact, with SleepPhones or the right ear plugs, you’ll finally be able to enjoy a good night’s sleep, maybe for the first time in years.